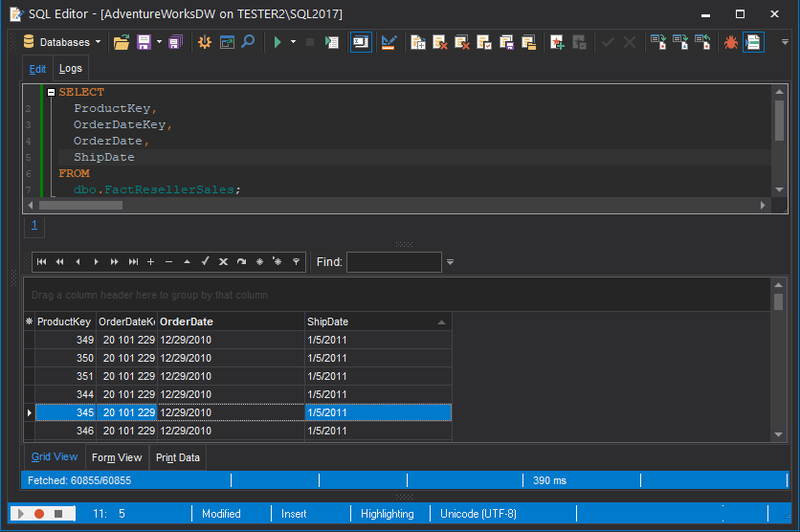 What's new in SQL Manager for SQL Server 5.0? Support for Amazon RDS for SQL Server implemented. MS OLE DB provider for connecting to SQL Server has been updated. Unicode object names are supported now. Improved support of high-DPI monitors and large-scale fonts added. Objects can be now added to the Favorites node from the popup menu. Encryption algorithms for symmetric and asymmetric keys have been updated. Now it's possible to view object creation and modification date. Format set in Color & Formats was not applied. Fixed now.